The Ultimate Xmas Tree Decorating Guide! Aaah Christmas, another magical family reunion approaching with big steps. While we will mostly preoccupy ourselves with what presents to buy and what delicious meals to cook, the big question is, who is going to decorate the Christmas Tree this year? We would always fight over who would have the honor to make the Christmas Tree the star of the show at my house. You would think it’s an easy task, well, Christmas Trees are not created equal. Let’s make sure yours is the real looker. Check out the following guide on how to decorate your Xmas Tree to fill your home with glamour and festive Christmas spirit. Let’s Give That Christmas Tree A Makeover! The most important tip would be, keep it simple. Too much of a good thing is never a good idea. If you don’t want your Christmas Tree to topple over, make sure you don’t put too many ornaments on it. Your tree will be grateful. Now, let’s roll up our sleeves and start from the basics. An Artificial Christmas Tree is your ticket to hassle-free Christmas Holidays, forget about the real ones. Who likes hoovering fallen needles off the floor every 5 seconds? With artificial trees, you don’t need to water it, you don’t need to worry about the transport or wonder how to discard it after the holiday season is over. Live trees can be a bit of a nuisance. Besides, you can reuse your Artificial Christmas Tree the following year, which is a definite bonus and good for the environment. Artificial Christmas Trees are easy to setup come in all shapes and sizes so pick one that fits your budget and needs. Once we have chosen our artificial tree, we should pick that perfect spot in the house that will make our tree shine. If possible, place your tree close to the window, so that everyone can admire your brilliance, but also in the proximity of a plug socket and not too close to the radiator. If you don’t want your kids or furry friends to mess with the tree, make sure the tree is not easily accessible to the little ones. We can start decorating our beauty. Start with the lights as these form the foundations of a well decorated Christmas Tree. If you don’t know which lights to choose, check out our extensive selection of Christmas Tree Lights. A popular favourite with our customers are the Multicolour String Lights. Start from the top of the tree and work your way down to the bottom. You can easily check if the lights are spaced evenly, just step back and look at your tree from the distance. Once the lights are set and ready to shine you can go on and add texture to your Christmas Tree by wrapping a colourful ribbon garland around it. 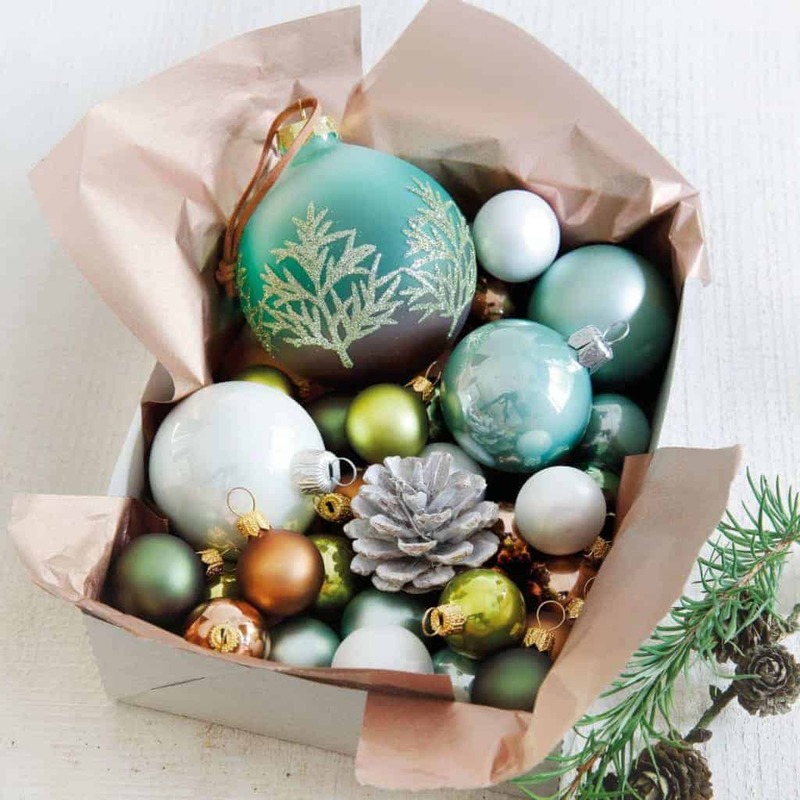 Work your way from the top to the bottom, carefully picking the colour that will match some of your baubles as this will give a tree a uniform, stylish tone. Traditional wreaths and Christmas garlands are also worth considering for your Christmas scene. After the Christmas lights and garlands, we are ready for the baubles! The best would be to pick shatterproof Christmas baubles so that there is no drama if one accidentally falls to the floor. 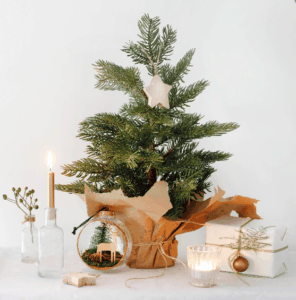 Make sure to choose smaller ones and hang them closer to the inside of your tree, working your way out with the more expensive, and bigger baubles hanging on the further parts of the branches. This will give the tree visual balance and grace. The topper goes on top (obviously), it shouldn’t be too heavy so that your Christmas tree stands in place and there is no fear of it suddenly toppling over. The most traditional would be a star, but you can be a bit creative and make your tree super special by picking an unconventional topper. There is no right or wrong, whatever tickles your fancy, just make sure the whole family is on board. For inspiration our selection of Christmas toppers is a must-see! If you want your tree to look extra festive and original, check out the selection of Christmas scenes that we have in stock. You can put them right under your tree, which will make it look much more upbeat. Our favourite is the Bakery Light Building Facade, which makes everyone think of sweet gingerbread. Pure Christmas bliss! Now that the Christmas Tree is all glamorous, sparkling and ready to be admired, you can sit down, soak up the magical Christmas atmosphere and enjoy the time spent with your family. Merry Christmas from the Christmasland team!